Camden County Prosecutor Mary Eva Colalillo and Haddonfield Police Chief Ted Stuessy reported Rite Aid is offering a reward of up to $5,000 for information leading to the arrest of those responsible for a robbery at a Rite Aid pharmacy in Haddonfield. The robbery happened around 12:10 p.m. yesterday at the Rite Aid on the 700 block of Haddon Avenue. The robber jumped over the pharmacy counter, displayed a firearm and demanded Adderall and oxycodone. The suspect received an undisclosed quantity of Adderall pill bottles and ran into the parking lot, where he carjacked a priest. The robber drove the priest’s car about a block then exited the vehicle on the 100 block of Marne Avenue near Wood Lane and fled on foot. No injuries were reported. The robber is described as a white male who stands approximately 6’0’’ to 6’2’’ tall and weighs about 200 pounds. 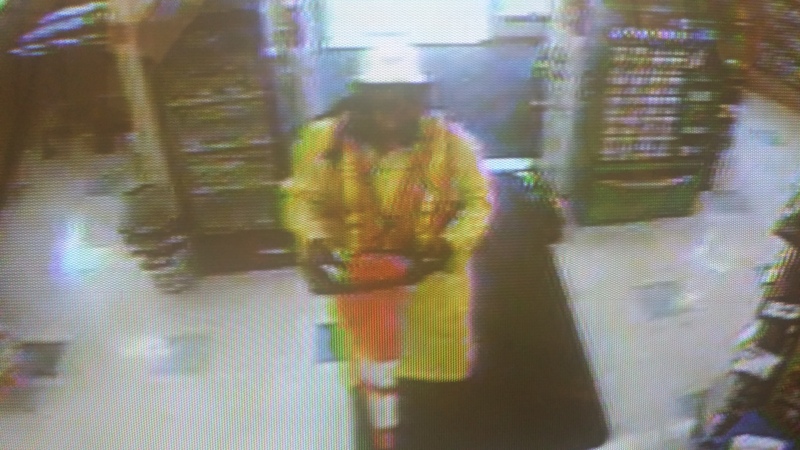 He was wearing a long yellow rain jacket, yellow reflective vest, hooded sweatshirt, black mask and white hardhat. The suspect was carrying an orange traffic cone during the robbery. Prior to the robbery, the suspect was observed measuring trees near the store as well as the outside of the Rite Aid building with a tape measure. Surveillance photos from the Haddonfield store are posted below. 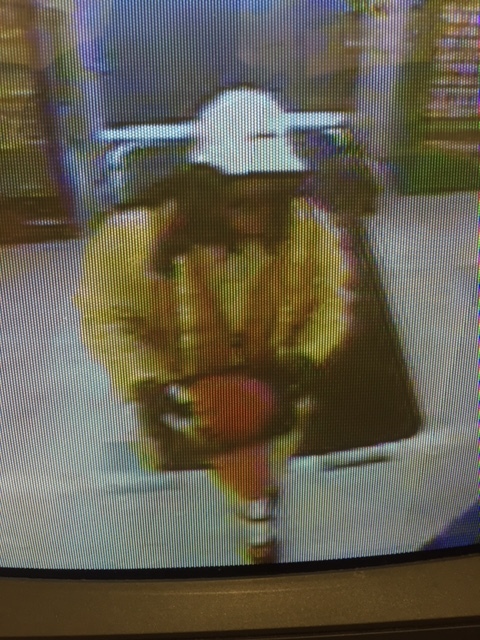 Detectives believe this may be the same suspect who previously robbed a Rite Aid in Logan Township, Gloucester County. 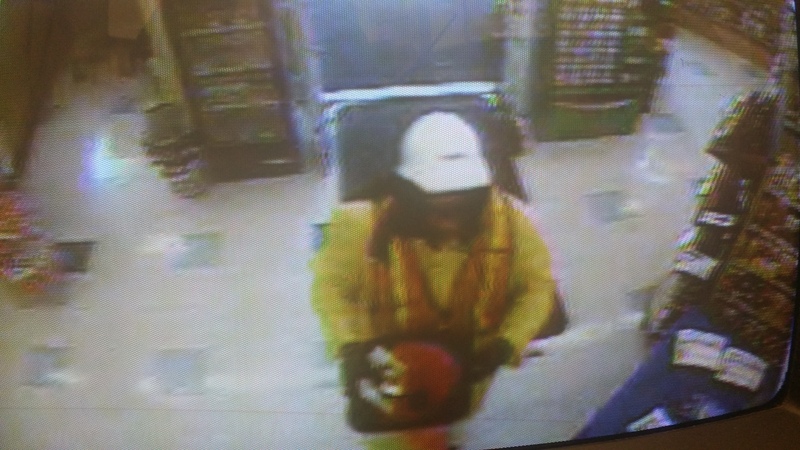 A surveillance photo previously released in the Logan Township incident shows a suspect dressed in similar attire. Anyone with information is urged to contact Camden County Prosecutor’s Office Detective Vince McCalla at (856) 225-8569 or Haddonfield Police Detective Stuart Halloway at (856) 429-4700. Please note: The reward amount will be determined based on the information provided. Released Wednesday June 17, 2016.